Now here’s the most recent emergence of Bonanza named Satrangi which deals with the finest embroidered dresses for women. Bonanza has a super name in fashion industry and this brand has own its deep roots in quality,style and stuff. It is always loved and appreciated by customers and known as the most fastest leading brand of Pakistan textile industry, and gained popularity nationally as well as internationally also.It has presented many seasonal as well as occasional collections according to the new fashion trends and styles. This brand deals with the clothing of men as well as women.In today’s post i am going to share the Bonanza Latest Winter Collection For Women.This time also this brand use the latest fashion techniques to present luxurious winter outfits. 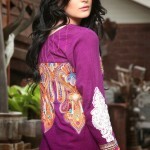 The dresses and outfits are available in trendy,casual,cultural and western styles. You can pick any one for your every type of wear whether party,evening,formal,casual or simple as well. Have a lively and enjoyable life style with beauty and elegance of colors this season. This women winter fall collection is embedded with special Karandi Embroidered Shirts that are cherished with Multani embroidery. 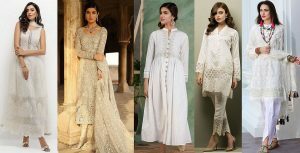 These Clothes contains high quality suff and fabrics like Karandi, Cambric, Mose, Jacquard, Seasonal Lawn, Cotton and Linen with striped corduroy salwars,floral sleeves, chiffon dubattas,and shirts with borders and border lines. So Enjoy your season and make it colorful as well as warm by wearing the dignified and opulent winter wears.